We at ELV have never claimed to be proficient professional prognosticators. We have have no idea how big a success City Center will be (if at all), and make no claims of a track record when it comes to predicting who will succeed or fail in the restaurant biz in our humble burg. However, we feel fairly confident of one prediction: Julian Serrano — the Spanish restaurant and tapas bar in Aria — will be the first big hit among all of its upscale eateries. We say this because it already is one. Open less than a week, the joint is jumpin’ at lunch and dinner. We attribute this to many factors: 1) Serrano has spent eleven years here, helming the well-regarding Picasso, and has built up a loyal, local following; 2) his new restaurant is relatively easy to find (right next to Aria’s registration desk; 3) the place is airy, open and accessible (unlike, say, the Jean Georges Steakhouse); 4) the all-Spanish menu perfectly captures the zeitgeist of how people are eating these days; and 5) the food is fantastic. This is the tapas restaurant Las Vegas has needed for a decade. The real enchilada (or should we say: the real “patatas bravas”) in how Spanish food is supposed to taste. Simple, satisfying and ingredient driven, tapas not only allow the small plate grazing that is all the rage these days, but they make for a wallet-and-waistline-friendly experience — albeit one matched perfectly to wine drinking. The wine in this case that deserves your attention is sherry — that most underrated of wines — whose hints of sea, salt and oxidation compliment these small tastes so well. Salty Iberico ham never tastes better than when paired with a crisp Manzanilla or fino, and there’s nothing better than an nutty Amontillado with some oily sardines or Serrano’s bacon-stuffed, deep-fried dates. Besides being the perfect match for tapas of all kinds, sherries have the additional bonus of being one of the more reasonably priced wines in the known universe. Dry sherries: Fino and Manzanilla. These are pale in color, very dry and delicately flavored. The Manzanilla has a salty, nuttier taste, that reminds our staff of a warm, Andalucian sea breeze. Amontillado. Medium dry, generally of golden color with a dry but nutty taste. Palo Cortado. Rich, medium dry, generally not as nutty as an Amontillado, nor as rich as an Oloroso. 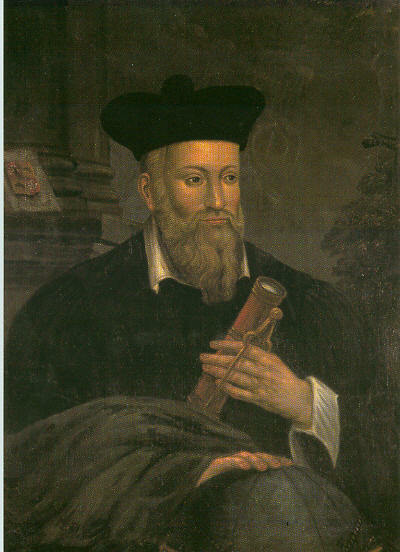 Oloroso. Darker and richer than those above, Olorosos go perfectly with strong meats and cheeses. Dessert sherries : Moscatel and Pedro Ximénez (often abbreviated as PX). These are both intensely sweet and thus, are perfect for desserts, chocolate and blue cheeses. The Moscatel is generally a younger and softer wine, and the Ximénez is positively raisin-y and rich beyond belief. Cream: Best for Aunt Edna or whatever sewing circle you belong to. So start your sherry sipping post haste, and while you’re learning about its charms, it doesn’t hurt to be be nibbling on Serrano’s deconstructed fish stew (a marvel), molecular tuna with raspberry gelee (tart and briny), or a classic, whitefish ceviche that shows what a master can do with some good fish and a little acid. Equally compelling are his paella (the Valenciana – smoky and savory – full of rabbit, chicken and chorizo), and the simple but satisfying desserts — including a molten chocolate cake that might be the last word in this unctuous confluence of chocolate delights. That cake goes great with some Pedro Ximenez (1982) that Echavarrie has tucked away for special customers. We’re guessing that many of you are about to become one of those. Julian’s Raspberry Tuna is the single finest mouthful of food I have had to date at Aria. Run, don’t walk, to this new restaurant, and order up a couple dozen of these delightful surprises – you can thank me later. Yes! I’ve been saying this all week since I had lunch there on Friday. This is the hidden gem of ARIA and CityCenter. YUM! I can’t wait to try this place. Just those taters make me want to go! Delicious! Thank you ELV. I can’t wait to try a plate of the chorizo bites. (Sounds much more appetizing to me than a dish of venison ice cream. Sorry, couldn’t resist). HAHAHAHA!!! Julian Serrano is no doubt the most overrated Chef in Las Vegas if not the country!! Maybe because he focuses most of his time on playing tennis. His Tapas and Paella are mediocre at best. The small section on the menu that claims to be molecular is a complete bite off of what Jose Andres did 10 years ago at Mini Bar inside Cafe Atlantico in D.C. John I urge you to please dine at this restaurant without announcing yourself and looking for a comp and you will see that Cafe Babareba and Firefly downtown are on the same level as JS. The only thing that separates the 3 restaurants is the 10 million dollars that was put into Serrano’s place and a fancy Sommelier. Mixed Paella = Completely incinerated Lobster, under cooked rice that hardly covered the paella pan, over cooked chicken and some really dreid up chorizo. This restaurant will be a financial success because the location is perfect and the dinning room is inviting but that’s about it. I am sure the menu will stay the same for the next seven years and mimic the style of Picasso. Boring!!!!!!! thats so great!!!! weather its true or not i dont know, havent been to serrano YET, but it is true for picasso, same menu since day 1!!!! For the caliber and reputation that Julian Serrano has, I expected very efficient service and definitely did not get it. An hour and half after being seated we were still short of our order; the managers tried but weren’t able to remedy the situation as neither the kitchen, or the waiter had any idea what had been served and what hadn’t. That, for a a Julian Serrano restaurant, is unacceptable. The food was delicious, but was haphazardly served – the tapas before the soups with each person’s soup arriving at different times. The check was a mess as we were charged for all the items we had ordered, but not all of them were served! I certainly won’t be visiting this restaurant again! Ok, so I just got back from lunch at julian serrano today (monday). The food was decent enough, but nothing stellar, the service was non-existent. typical drop and go style service, no explanation of the food being delivered, the server had no personality and couldnt even answer questions about the food!!!! In total the 4 of us ordered about 20 plates of food, so we tried quite a bit of the menu. portions are small and prices arent as small as the price, in total lunch was 244.00 plus tip. all in all, i doubt ill go back anytime soon, it was just blahh i expected alot more. tomorrow nite is JG steak, see how that pans out! So we put our name in at Serrano’s and camped out at the bar at Sage for 25 pleasant minutes enjoying a nice cote du Rhone. The hostess from JS actually called me on my cell phone to tell me my table was ready and we were quickly sat at a very plush table. The place was crowded and lively but not too noisy. I expected the service to be subpar but apparently ELV’s Army have set JS straight on that; service was prompt, though all the dishes did kinda come out at the same time. Our bottle of Lucien Crochet was a reasonable $52. The food was well done but not memorable; we ordered the trio of house tapas; meatballs, cod balls and tuna balls crusted with sesame seeds. All satisfactory. We split several other dishes, including the beet salad which were all good. Again, nothing memorable. Any tapas joint on any side street in Barcelona or in the gas lamp in San Diego for that matter can do them just as well. After getting a tour of the expanse that is city center I went home, got some sleep and upon waking up this AM promptly shorted 10,000 shares of MGM. My friends & I were recently in Vegas and we ate tapas at JS Restaurant. After reading the remarks posted here, I felt the need to add my own comments. (1) Our service was wonderful! Our waiter, who was originally from Russia, was attentive, helpful, knowledgeable, and was very personable. (2) Our food was superb & fun! We ordered more than 10 separate dishes as well as 3 different wines and each dish was excellent. (3) The prices were surprisingly moderate for Vegas. (4) This is certainly a restaurant that I plan to visit again. FWIW we agree with Anne. We went for lunch and had gazpacho, fisherman’s soup, spinach, stuffed piquillo peppers, bread with manchego cheese. Shared the almond cake. All delicious, same with the sherry, server was friendly and helpful and it cost less than the place we over-ate at the night before. If the fit-out cost $10m the money was well-spent on all that beautiful glass. I’m sure you could get as good on any street in Barcelona and cheaper but this is closer and they’re not paying strip rents. Wouldn’t change a thing. In our extensive travels we have always enjoyed dinning at Tapas Restaurants around the globe. So, on our latest visit to Las Vegas we were excited to hear that a Tapas restaurant was now on the menu at the new Aria in the City Center. We promptly made reservations and anticipated our meal. The M Lifestyle Magazine states “flavor, service, and design, are all aspects of the new Julian Serrano’s at Aria. We agree that the service is impeccable, and the design (decor) is exceptional with details that are beyond expectation however, the food quality and flavor leaves a lot to be expected. We ordered several dishes and found them to be bland and tasteless. One dish “Huevo Estrelados” was nothing more than French Fries (overly salted) with a fried egg on top. 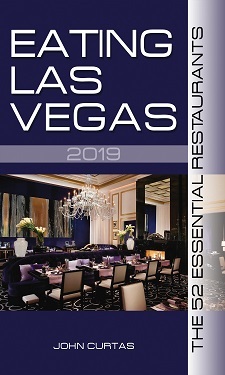 If you are into decor and service then this is the place but if you are seeking an exceptional meal then make a choice from the hundreds of other Las Vegas spots. Very mediocre food, unmemorable and doesn’t belong in Vegas… We ordered the recomendations: Gambas and spanish tortilla. Then I ordered some of my favs: stuffed piquillo peppers and the mixed paella. The gambas were just prawns in oil and burnt garlic, it had no specific taste at all. The spanish tortilla was interesting and had good form but I felt like it was missing something as it was also bland. The mixed paella was wrong in so many ways…. I could tell from the presentation that is wasn’t going to be appetizing. The lobster was so over cooked that it was shriveled and chewy inside its shell, and the chorizo and chicken looked one in the same. The whole dish was so salty that a few bites was all I needed before I gave up on it. The almond cake for dessert was dry and thick and hard to go down without the side of ice cream that it was served with. The stuffed piquillo peppers were good but not good enough for Vegas just like everything we ate. Jillian Serriano needs to find some inspiration and authenticity to his menu. My best meal in Vegas over the past two weeks – except for my previous visit this week to JS. Staff was attentive but laid back, wonderful decor and ambiance and the food was amazing. Better gazapcho than Victor’s cafe in ny – my previous favorite. Dates and bacon to die for and waiting for my pork loin big plate. Interestin wine list – had an excellent Tempranillo at a fair price and look forward to desert. If I have another free night this week I’ll be back for a 3rd visit. Bravo! While in Las Vegas for my birthday last week, my wife and I had dinner at JS and we thoroughly enjoyed it. The decor was wildly modern but inviting, the service was good and the food was as authentic as one can find in North America. Having been born in Catalunya and raised in a Spanish culture, I decided to have a traditional meal. Starting with entremeses or appetizers including olives, pan tomate and escalivada, a paella valenciana for the main course and, crema catalana and tarta de Santiago for dessert. The appetizers were simple and authentic and the paella was well made, although the sofrito could have been tastier and more azafran or saffron could have made it truly authentic. The chorizo sausage was the tastiest morsel in this paella. The crema catalana was memorable, and arguably amongst the best we’ve ever had anywhere, including in Catalunya. The Spanish wine list was extensive and Desi is deft in his field. He mentioned his Basque background and spoke some words in his native language that no one else in the restaurant could understand. Well done Sr. Serrano… We’ll be back! Just posted a piece about Julian Serrano on my website, http://www.davidstable.com. I ate there for the first time last September, and it was easily my best meal of 2010. I can’t wait to go back. Just returned froma very short trip to Vegas. Enjoyed Jullina Serrano’s twice while there. and I mean ENJOYED! First I’ll start that our waiters were excellent; knowlegable on the food and the wine. Our fitst late lunch experience was the most enjoyable and relaxing. Our waiter was superb, advising on many dishes and pariing excellent wines to compliment. Only compliant is that some, not all, of the meat on the Chacuterie plate were slice too thick. Our second adventure was a very late (near closing of kitchen) dinning after a show. Our waiter was less experience, but very enjoyable, also he brought the sommelier out to our table to help wiht selcting our main bottle. The other waiters explained the dishes also offer wine pairing. The highlight, again, was desert and the paired wines. This time (for me) a 82 Pedro Ximenez Sheery, delicious wine (with it, who needs a desert). We will definitely be back. I´m from spain. the best paella in Vegas! there is another spanish cheff cooking whith the julian-team. I will return was all great. Really recomended. The best spanish restaurant in Vegas!! We`ll see soon…………. thanks for all…………..